Love how u styled that skirt with those brogues, so inspiring! This is such an amazing casual look! 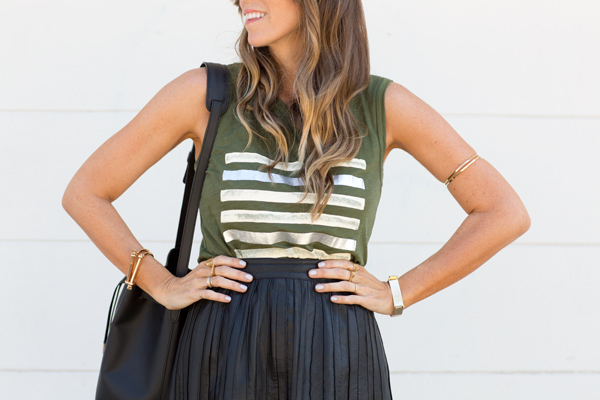 Love the pleated skirt – its the perfect length. that bag and those shoes are fab! Super super cute! Love those shoes! 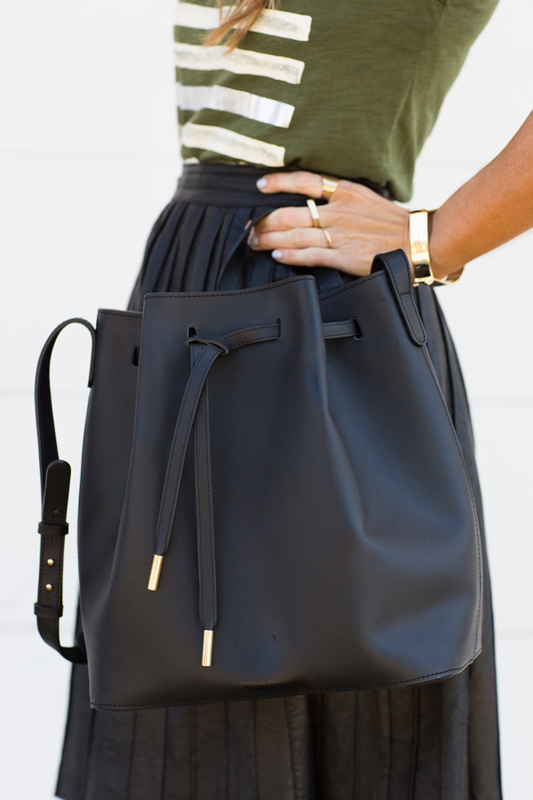 I lovvve this combination! I’ve always been obsessed with the olive + black + gold combo and you’re sporting it so well 🙂 Loving the pleated skirt with those shoes too.